Regional Education has a 2-bedroom apartment located on Pearl Street East (please refer to MEdTech Central for apartment number). 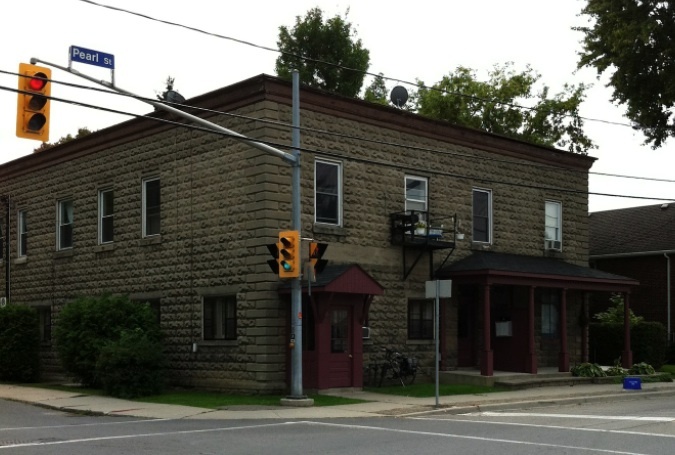 The apartment building is within walking distance to Brockville General Hospital. All of the Regional Education accommodations are shared with other medical students or residents. The accommodations are co-ed, however, we do our best to try and book learners of the same gender together but sometimes that is not possible. If you choose not to share an assigned apartment, please contact our office immediately to see if an alternate solution can be found. Our Regional Education accommodations are for the learners use only. Accommodations are not provided for other family members or friends (spouses, children, caregivers, etc). No Pets - Please note, our property leases state "No Pets Allowed". Please respect the wishes of the landlord and be respectful of your roommates as many learners suffer from allergies. No Smoking - Smoking is NOT permitted in any of the Regional Education accommodations. Internet - These accomodations have been set up with a wireless high speed Internet connection. Parking - Designated two car deep parking slot is located at the back of the building. Keys - Pick up keys from the Brockville General Hospital switchboard. Upon departure at the end of the rotation, please return the keys to the BGH switchboard. Travel - The cost of 1 return trip for each completed two-week time period (or one week Brockville Obs/Gyn rotation) is available for reimbursement. All travel reimbursements are contingent upon fulfillment of learner responsibilities. Linens - Bed, bath and kitchen linens are provided. All linens used must be laundered prior to your departure. Garbage and Recycling - Garbage and recycling pick-up is every Thursday. Please be sure garbage and recycling is put out in the a.m. Note: recycling is picked up every week but one week is paper products and the next week is plastic/glass. Please see garbage/recycling schedule. Brockville General Hospital requires a Letter of Good Standing which contains the annual Criminal Record Disclosure statement OR a Police Records Check from all students completing Psychiatry rotations there. The Learner will not be allowed on the wards or to work with the patients without it. The check must have been completed within the last 6 months. Reminder, that it takes 4 to 6 weeks to process a Police Records Check. Travel reimbursement is contingent upon fulfillment of LEARNER RESPONSIBILITIES.